This is a brand new demo project that was put together by our very own Red Hat UKI SA team. 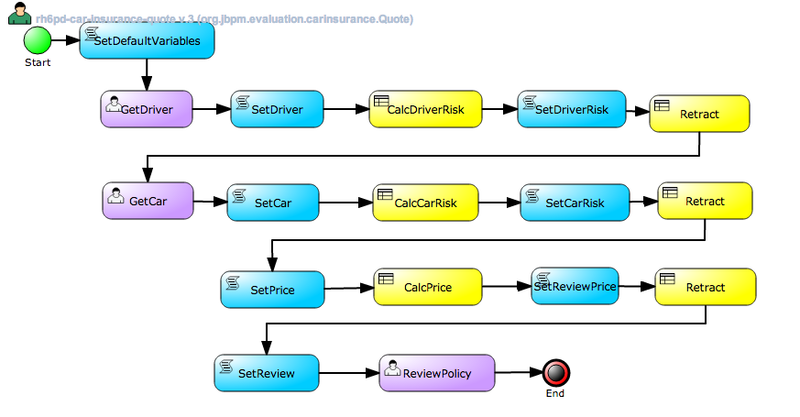 They have plans to put together six product demos in this project hosted on github, starting with a pretty nice car insurance example built on JBoss EAP 6 and JBoss BRMS 5.3.1. Here is the original video tour, in seven minutes, so you can get started as quickly as possible. This video was recorded by Derek Howlett, be sure to pass you thanks to the team through him. JBoss BRMS Car Insurance Demo from Eric D. Schabell on Vimeo. There were diverse people from the UKI team that put this demo together, so kudos to all of them and forgive me for not mentioning you all by name.